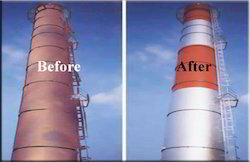 We are a leading Wholesale Trader of best heat reflective paint, transparent heat insulating coating for glass and star thermal shield for heat resistant air drying coating from Ghaziabad, India. Star Cool Tiles is Eco friendly heat reflective insulating cool tiles. Star Cool Tiles is designed to reflects sunlight keeping the interior cool and comfortable. Highest SRI (Solar Reflectance Index) value in India. Resistant to Water, Sodium Nitrate, Ammonia Solution, Soap Solution and Sodium Hydroxide. It is heat resistant up to 125OC water resistant as well. Star Cool Tiles is environment friendly made as per ASTM/LEEDS standard for Green Buildings. Star Cool Shield is the revolutionary field proven Eco-Friendly, heat reflective & insulating cool coating. Star Cool shield has been certified as Highest in Solar Reflectance Index, SRI Value -130, tested by NABL Certified lab as per ASTM/LEEDS standards for Green Buildings. Star Cool Shield is designed to reflects sunlight to a greater extent and prevents the roofing materials from getting heated up, even in peak summer afternoons by keeping the interior cool and comfortable. 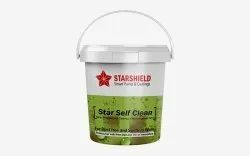 Moreover, Star Cool Shield is having Nano Air-bubbles inside the coating, which creates air vaccum within the coating & doesn’t let the heat to pass through & it is also heat resistant up to 125 degrees & water resistant as well. Star Heat Shield, a Nano Technology based transparent heat reflective thermal insulating coating. 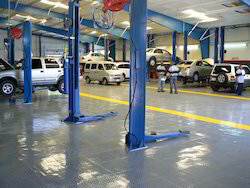 Low cost, easy to apply maintain. Blocks up to 95% of UV 95% of infrared rays.